First, apologies for missing a Wednesday post this week. I've had two job interviews this week, so I've been a little crazy preparing for those. But I have high hopes I'll have a job before too long! This month's topic was suggested by a reader and friend of mine, who said he has liked my previous posts on personal finance and wondered if I had any book recommendations. These three books are the ones that have most influenced my own thinking about finances. I'd love to hear your recommendations as well -- particularly for a better book on money and relationships than the one listed below. What these books have in common is that they're geared toward people just starting out, individuals and couples in their 20s and early 30s who need guidance on the basics of money management. Of course, if you're older than that but feel like you need some basic guidance on getting your finances under control, these books may be helpful for you too! 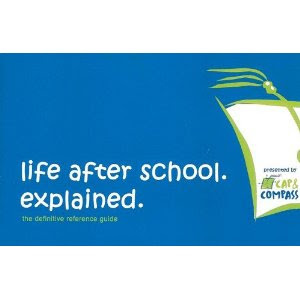 Cap & Compass did a presentation at my college, and it was so helpful that afterwards I immediately went to look up their book. I am the kind of person who likes "explain it like I'm five" approaches to complex topics, and I appreciated that this book assumed I knew basically nothing about taxes, investing, 401(k)s, etc. They break everything down from square one, including those things everyone seems to assume you somehow just "know." If you start reading some other financial advice and they're using words that you have no idea what they mean, this book will come to the rescue. As a bonus, they cover topics more indirectly related to finances, like choosing between health insurance options, renting your first apartment, and shopping for an engagement ring. This is like Being a Grown-up For Dummies. 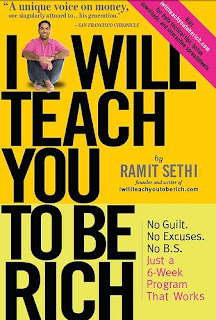 Ramit Sethi shoots straight, so if you don't like people steamrolling over your excuses, you may not like this book. But the stuff he says works. The book is written as a 6-week program where each week gives you assignments to complete to get your finances in order. Sethi first makes you decide what a rich life looks like to you, and then shows you how to cut costs on the things you don't care about so you can spend as much as you want on the things you do care about. One of the great things about this book is that it's flexible: If you just want someone to tell you what to do with your money, the steps are all there; if you want more freedom and choices, he tells you how to make those decisions wisely. What he doesn't do is allow you to cop out of managing your money by making excuses like "I don't make enough money to save any of it" or "I don't want to be a pennypincher." Need your finances whipped into shape? Here's your book. The copy of this book that I have is a 1977 printing I got at a garage sale, so I'm hoping some of the more ridiculous advice, like about working wives being a financial "danger sign," has been erased or updated. Nonetheless, I think there's a lot of good stuff in this book. 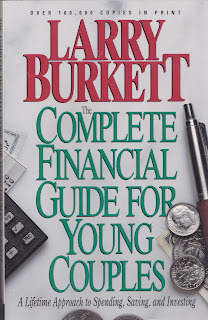 As one of the top reasons cited for divorce is money problems, Burkett wants to help young couples get their money in order. This book adds a layer to basic personal finance advice by addressing how to combine finances, how to talk about money problems, and even how to teach your children about money. It has a strong Christian focus: For example, he talks about how it's important to trust God but not to use that as an excuse not to manage your money. One of most reassuring messages I took away (in contrast to other books like Rich Dad, Poor Dad) was that you don't need to be always looking for shortcuts to make more money; there's nothing wrong with being part of "the rat race" if it's a career you actually enjoy and you're able to make enough money to be secure and save for retirement. Bonus recommendation: If you like the idea of a broader "Life After College" book like the first one listed here, the Quick and Dirty Tips team has put out a new book called Quick and Dirty Tips for Life After College. I haven't read it, but I listen to nearly all the QDT podcasts and find them extremely useful, so I would imagine the book is equally as helpful, and I know it includes some financial topics along with others. 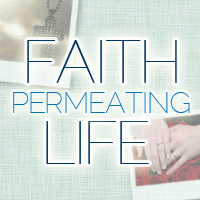 What books have you read that have helped you with your personal finances? I wrote this before I saw that there was a theme for today! I'm new to Three Books on Thursday, so I wasn't sure how it worked. I tend to schedule my blog posts earlier in the week--is there any chance you could give a heads' up about the topic in advance? Personal finance has definitely become a passion of mine (that sounds weird), but I honestly haven't read that many books about it! My husband has a great head on his shoulders for dealing with money, and I follow several blogs that give me great insight into controlling our spending. Thanks for the suggestion! There was a long stretch where no one was linking up, so I stopped announcing upcoming topics on Twitter a while ago, but I can certainly do that again. Your linked-up post definitely doesn't have to match my theme, though; you did it exactly right to list the category you chose so people can click over if they're interested in that group of books, and then if you have suggestions for this theme you can always leave those in comments. Thanks so much for linking up -- and I love John Green! I definitely get most of my personal finance info from blogs, so I didn't have a lot of books to pick from for this one (thus why I ending up listing a book I only halfway recommend). I'm hoping other people have some good additional books to recommend. Thanks for the recommendations! As someone who graduated from college in the not-so-distant past, I often wonder what the most responsible decisions are to make in relation to this topic, and how to make them. Hopefully these books can help me have a greater understanding of finances! Also, I think the 3rd paragraph should read "getting your finances in control" and not "out of control." Hope you find the books helpful! They've been very helpful for me.